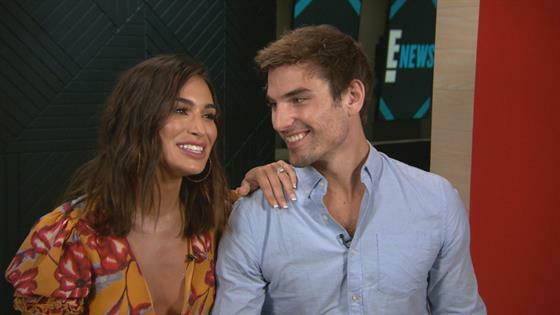 Ashley Iaconetti and Jared Haibon can relate to Hailey Bieber and Justin Bieber's seemingly quick engagement. 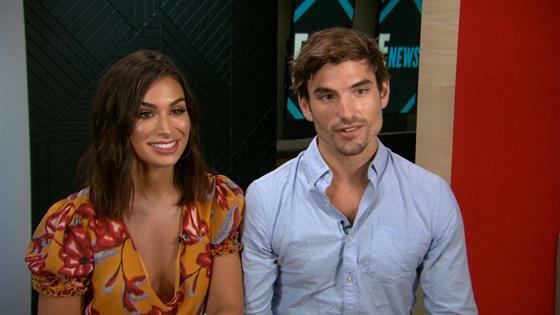 The Bachelor in Paradise stars, who viewers will see get engaged on the upcoming fifth season of the ABC series, dished about future wedding plans and the current quick engagement trend in Hollywood during an exclusive interview with E! News. After having an on and off relationship for years, Ashley and Jared confirmed that they were officially dating in May. The following month, it was revealed that Jared had proposed to Ashley. And while it might seem like a quick engagement to some, it doesn't feel quick to them. Since Ashley and Jared have known each other for so long, they told us the engagement comes at "just about the right time." Jared went on to say, "Obviously I can't speak upon somebody like Justin Bieber and Hailey Baldwin, but they've known each other for a while, so I'm sure when they got together, they probably thought, 'This is right.'" Ashley continued, "Not to compare ourselves to Justin and Hailey, but they are relatively similar to us. It was like an on and off again thing and they'd been friends for so long, so it's just kind of like, well we know each other inside and out." As for Ariana Grande and Pete Davidson? "That's a different story, that was fast," Jared told us. Ashley then added, "That's a lust situation." Ashley Iaconetti & Jared Haibon Have Babies on the Brain! And now that Ashley and Jared are engaged, many fans are wondering when they'll tie the knot. "We're saying no more than a year, year and a couple months," Jared replied when asked about a wedding timeline. "No more than 14 months from now we want to be married." Take a look at the videos above to see Ashley and Jared dish about everything from marriage to Bieber to babies! And find out which Bachelor Nation couple they think will be the first to tie the knot! Plus, be sure to check out Ashley's engagement ring in the videos!